I hope I am on your nice list this year because there is a lot on my Christmas Wish List. Everything I seem to want is for my Jeep. I sure hope you can fit Jeep parts in your sleigh. I really, really want a 2.5 inch lift kit with 33 inch tires, but I think I will wait to ask the Easter Bunny for that. I still want to get some Stock Rubicon off-roading under my belt. I feel this is the smartest and most responsible way to get to know how my new Rubicon drives. So back to my list. I guess I will keep it simple. I would like two things for Christmas. 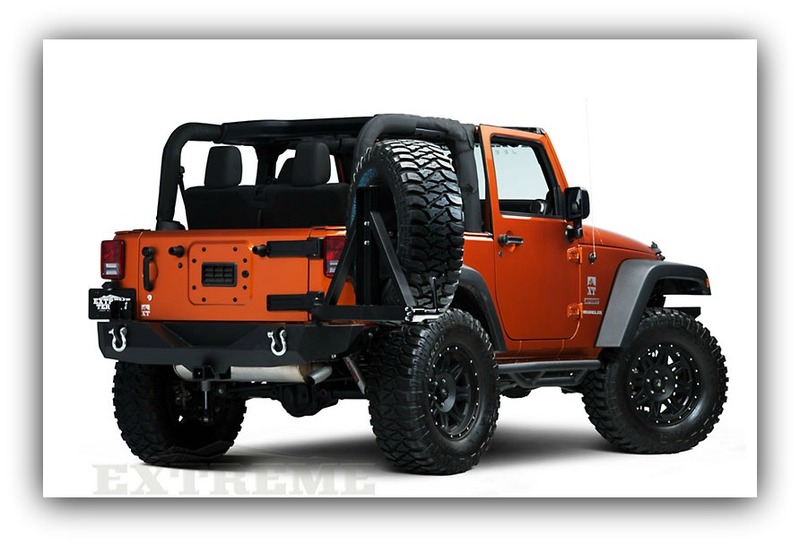 The first is a Barricade Trail Force HD Rear Bumper with Tire Carrier. This rear bumper will match my front bumper and my Barricade Rock Sliders. You can find this bumper at www.extremeterrain.com. I also want to have a CB radio so I can keep in contact with my fellow Jeepers out on the trails. However, I'm not quite sure which one I want yet. I hope you will give me a little time to narrow down the perfect one just for me. I think I will ask my fellow Jeepers what they suggest. I hope you are getting enough help up there at the North Pole. I am really excited to see what you put under the tree for me this year. So that's my letter to Santa. I'm hoping I can get some really great suggestion on the best CB to buy for myself. If you have a favorite that you like, please share it with me!